Edmund William Gosse (September 21, 1849 – May 16, 1928) was an English poet, author and critic, the son of Philip Henry Gosse and Emily Bowes. He worked as assistant librarian at the British Museum from 1867, and in 1875 became a translator at the Board of Trade, a post which he held until 1904. In the meantime, he published his first volume of poetry, On Viol and Flute (1873) and a work of criticism, Studies in the Literature of Northern Europe (1879). He became acquainted with the pre-Raphaelites and Algernon Swinburne. He became, in the 1880s, one of the most important art critics dealing with sculpture (writing mainly for the Saturday Review). His interest in sculpture was spurred on by his intimate friendship with the sculptor Hamo Thornycroft. Gosse would eventually write the first history of the renaissance of late-Victorian sculpture in 1894 in a four-part series for the Art Journal, dubbing the movement the New Sculpture. From 1904, Gosse was librarian of the House of Lords, where he exercised considerable influence. He wrote for the Sunday Times, and was an expert on Thomas Gray, William Congreve, John Donne, Jeremy Taylor, and Coventry Patmore. He can also take credit for introducing Ibsen's work to the British public. His most famous book is the autobiographical Father and Son, about his troubled relationship with his father, Philip, which was dramatised for television by Dennis Potter. In later life, he became a formative influence on Siegfried Sassoon, whose mother was a friend of Gosse's wife, Ellen. Hypolympia, or the Gods on the Island (1901), an "ironic phantasy," the scene of which is laid in the 20th century, though the personages are Greek gods, is written in prose, with some blank verse. vols. iii. and iv. 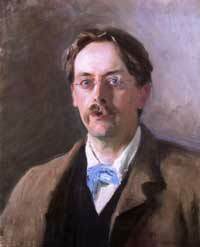 of an Illustrated Record of English Literature (1903-1904) undertaken in connection with Dr Richard Garnett. Father and Son (1907) (Not a critical work, but an autobiography).